LONGREACH, 430 kilometres from Rockhampton in the heart of central western Queensland, this week became the latest town to join the solar energy boom underway in the aptly named Sunshine State. Sitting on the Tropic of Capricorn on the Thomson River with a population of over 3000, Longreach is famous for being the birthplace of Qantas. 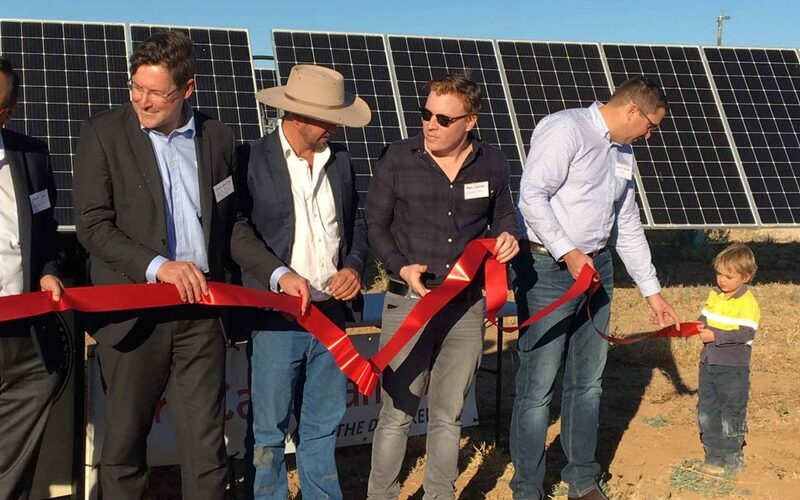 Fifteen kilometres out of town sits the $29 million Longreach Solar Farm which this week officially opened. The 15MW solar farm comprises 54,000 photovoltaic single tracking panels capable of powering 5000 homes with renewable energy. The project is being progressively commissioned and is operating at 50 per cent capacity, exporting 7 MW to the grid already. 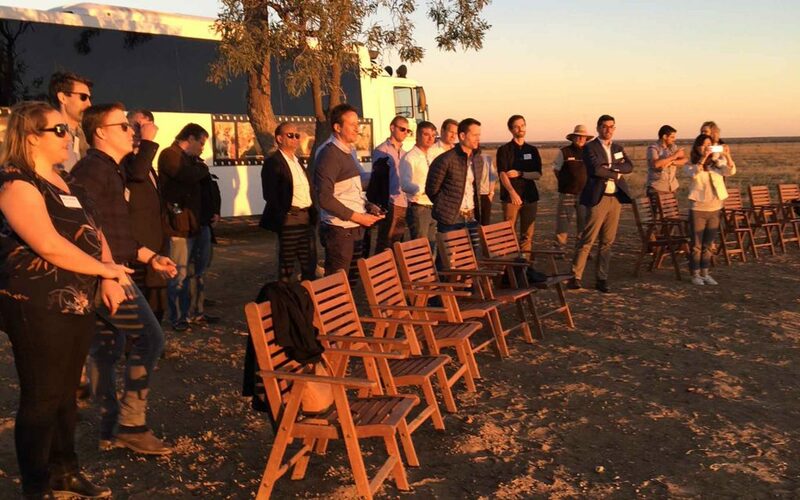 Longreach is the second large scale solar farm to be officially opened from ARENA’s $92 million competitive round, and the first in Queensland. The project, which was planned and managed by renewable energy giant Canadian Solar, received $1.3 million in funding from ARENA. All 12 ARENA-supported solar farms are now either completed or under construction and expected to open this year, where they will collectively deliver 450MW of solar energy across three states. Six of the 12 are in Queensland. With the competitive round having driven down costs, the large scale solar industry has now taken off. According to AEMO, there is now more than 10 GWs of utility scale solar in the connection pipeline. Nowhere is the boom in large scale solar more evident than in Queensland. According to Powerlink, there are 150 potential projects that have sought connection to the grid, totalling a staggering 30 GW of generation. Nearly half of all activity in large scale solar is taking place in Queensland, according to the latest figures from the Clean Energy Council. Just over a 1000 kilometres away from Longreach, Canadian Solar is working on the second stage of its 80MW Oakey solar farm near Toowoomba, the first 25MW stage of which was also funded by ARENA under the competitive round. Four hours’ drive away near Emerald, Fotowatio Renewable Ventures (FRV) is busy constructing the 100MW Lilyvale Solar Farm. This week, FRV’s 100MW Clare Solar Farm outside of Townsville – the state’s largest so far – was connected to the grid. A further five solar farms are either under construction or planned for the former mining town of Collinsville, which has been dubbed the state’s “solar hot spot” for its 300-plus sunny days a year. The surge in construction is creating thousands of new jobs for the state. At the last count, 6800 people were working in Queensland’s wind and solar industries, which is the most of any state. Queensland’s renewable energy workforce more than doubled in size during 2017 alone. A total of $4.2 billion worth of large scale renewable energy projects either under construction or committed, which are expected to add 2000 MW of power and provide 3500 construction jobs. Rural communities are among the big winners. Sheep and cattle farmer James Walker is the landholder of the Longreach solar farm. Mr Walker said are already having a big impact on his patch of western Queensland. “I became Queensland Farmer of the Year for diversification,” Mr Walker said. ARENA CEO Mr Ivor Frischknecht said the completion of the 12 ARENA-funded solar farms which kickstarted the industry is a milestone for renewable energy in Australia. “Before ARENA’s investment, we didn’t have the local expertise and experience to get these projects off the ground at a competitive price,” he said. Alice Springs – a testbed for the future energy market?